Video: UCD humdinger wins League! 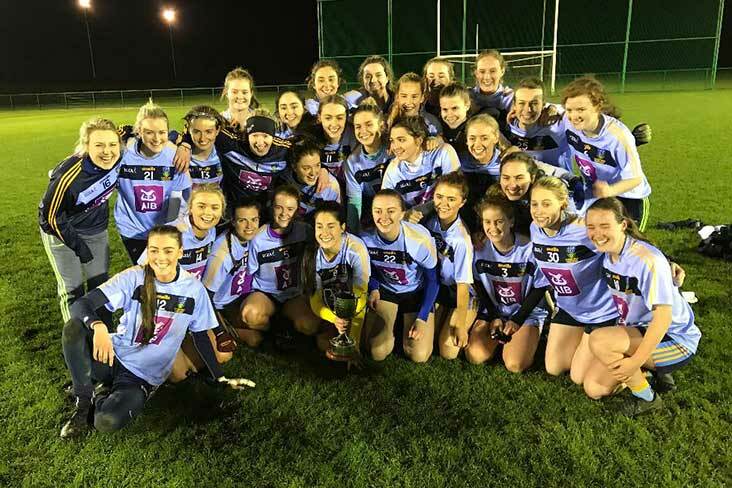 "The effort was really good all over the pitch" - UCD captain Molly Lamb (Kilmacud Crokes) was delighted with a 9-point victory over UL in the Gourmet Food Parlour HEC Division 1 League Final at Stradbally last night. Two goals from Player of the Match Lucy McCartan, who recently played in a soccer Final at the Aviva, were the key scores. "You can tell sometimes that Lucy has a soccer background," says Molly. "The first goal was a real humdinger." Lamb also feels that UCD, who had ten different counties represented on their starting fifteen, 'have a really good dynamic' which has surely installed them as O'Connor Cup favourites. Video by Jerome Quinn for Ladies HEC.